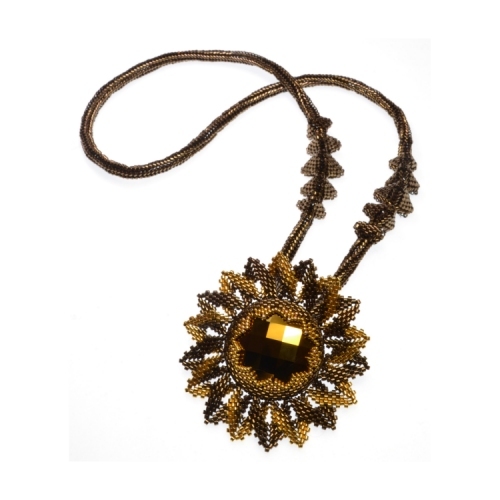 This necklace uses a stunning Swarovski focal crystal bezelled and adorned using the principles of beading a Rick-Rack to use geometric beading to create a floral centrepiece. The pendant, which can also be worn as a brooch, hangs on a unique geometric herringbone rope which can be varied as desired. This is a class for 2017 and you can see more here.